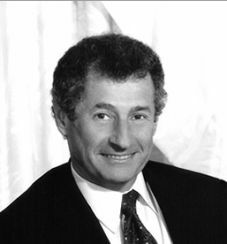 Dr. Leonard Kleinrock pioneered the mathematical theory of packet networks, the technology underpinning the Internet. For his enormous contribution to understanding the power of packet networks he was honored with the Charles Stark Draper Award as one of the fathers of the Internet, along with Vinton Cerf, Robert Kahn, and Larry Roberts. He is a developer of ARPANET, the seedling that grew into today’s global Internet, and his laboratory’s UCLA Host computer became the first ARPANET node in September 1969. A month later, he directed the first transmission to pass over the blossoming network. Dr. Kleinrock received his Ph.D. from MIT in 1963. He currently serves as a Distinguished Professor of Computer Science at UCLA. He has published over 250 papers and authored six books on a wide array of subjects including packet switching networks, packet radio networks, local area networks, broadband networks, nomadic computing, peer-to-peer networks, and intelligent software agents. Dr. Kleinrock is a member of the National Academy of Engineering, the American Academy of Arts and Sciences, an IEEE fellow, an ACM fellow, an INFORMS Fellow, and an IEC fellow. Among his many honors, he is the recipient of the Ericsson Prize, the NAE Draper Prize, the Marconi Prize, the Okawa Prize, and was further recognized when he received the 2007 National Medal of Science, the highest honor for achievement in science bestowed by the President of the United States.